Who qualifies for the Bursary Programme? Successful applicants who meet the requirements are awarded a conditional Absa bursary pending their final year result. 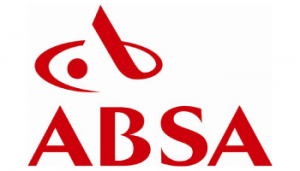 Each successful student will have to sign a formal contract with Absa in order to secure funding. Awarded bursaries will be re-evaluated each year based on academic performance. Successful applicants will be bound contractually to work at Absa after graduation for a period equal to the tenure of the bursary. Placements will be made according to the needs of the business. Students are expected to complete their qualification within the disciplines as agreed with Absa. Students may be requested to participate in relevant project and skills training. Absa will only fund one qualification at a time. A selection of students will be made in line with the Absa Employment Equity strategy. Applicants must be studying full-time for the next academic year at an Accredited South African university towards one of the qualifications listed above. Undergraduate or postgraduate students must have achieved a minimum average of 70% in the first semester of their degree studies for the present/current academic year. Applicants must not have a criminal record. Applications will be open from mid July to end of August and candidates will be able to apply online.